We're continuing our Mega Man X weekend with a retro review based on one of the games mentioned in our Rank Up! segment. It's the final game in the X anthology, Mega Man X8. How well does it hold up compared to the rest of the series? Mega Man X has had it hard over the years. He's been in three essentially mediocre games in Mega Man X5, X6, and the failure to bring X into three-dimensions with Mega Man X7. 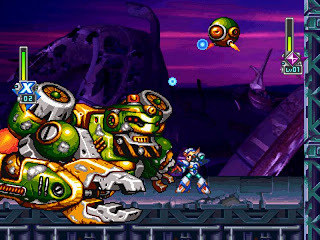 Mega Man X8 does incorporate three-dimensional elements, but for the most part the title returns to its roots and for the most part succeeds. 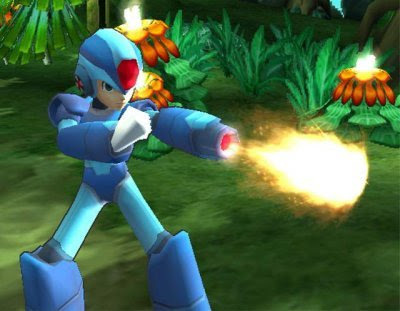 This is the Mega Man X game that fans have been waiting for. 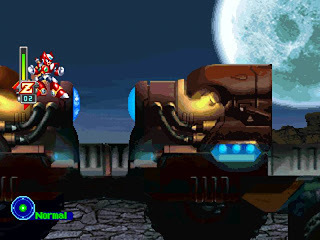 Mega Man X8 begins looking upon the Orbital Elevator-- a colossal creation linking the Earth to the Moon to allow humans to populate the lunar landscape. When one of the elevator cars blasts off of the track and to the Earth below, X goes to investigate. What follows is an introduction to copy chip technology and Lumine, the leader of the Jakob Project-- the project to concoct the Orbital Elevator. 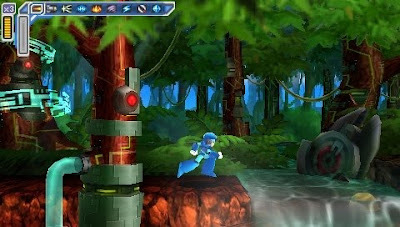 The first stage, Noah's Park (har-har), drops players into a heavily-forested area in the role of Mega Man X as he tracks down a nearby Maverick signal. 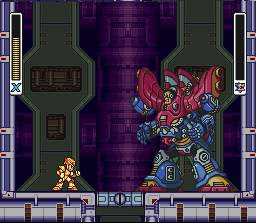 Players switch between X, Zero, and Axl automatically within the various sections of the level all culminating to a boss fight with a giant clawed Maverick. Following the battle, the reploid that just won't die, Vile, blasts into the scene showing that he has Lumine in his possession. But as Jack Bauer would shout, who is he working for? Mega Man X8 does not stray from the traditional Mega Man formula which in this case is a good thing. 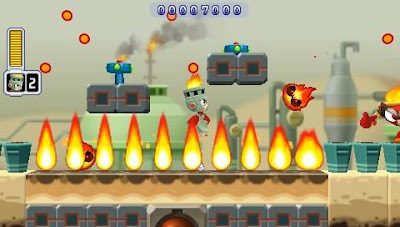 Players choose from one of eight levels all featuring various obstacles, different locales, and one of eight bosses to take out. X can take out a boss in any order, but the easiest way to beat a boss is to use a weapon it's weak against. A new weapon is learned by all three Maverick Hunters, X, Zero, and Axl at the conclusion of a stage. Some stages incorporate a 2 1/2-D aesthetic to them. 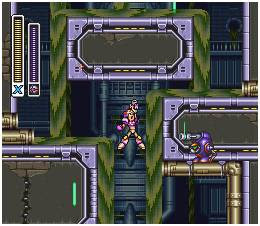 What sets apart X8 from other series installments is the ability to choose two of the three Maverick Hunters at the beginning of each level. X is the most balanced and can gain armor enhancements in each of the preliminary stages including Noah's Park. This is different from previous X titles as usually the intro stage cannot be played over again. 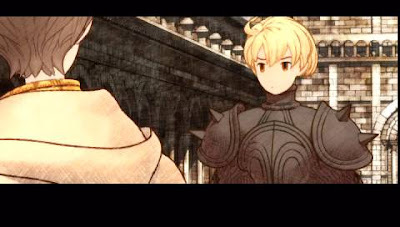 Zero is a close-combat fella as his only means of attacking is with his impressive saber skills. 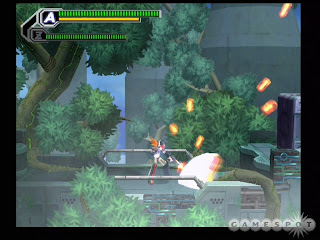 Zero can also perform a double jump for enhanced aerial acrobatics. Finally, Axl rounds out the team with his rapid-fire capabilities, the ability to copy and take the form of a number of enemies, and the ability to hover for a short period of time. When a special AT gauge is filled by attacking enemies and taking damage, a press of the R2 trigger while an enemy is in close vicinity will unleash a double attack. Where the two chosen hunters will combine strengths and pound the foe with an impressive flurry of destructive energy. Additionally, a new addition to the series, Rare Metals, are hidden in almost all of the levels. Finding one will allow players to buy a new item from the R&D (Research and Development). These items include extra health, combo abilities, and much more. Items are purchased with colored metals found in plentiful supply from enemies and scattered around in levels. The presentation of X8 is top-notch. Full voice work performed by The Ocean Group is included, and no character sounds unbearable unlike X7. There's beautiful cutscenes throughout the game. Levels are wonderfully modeled, detailed, and full of paths to explore and secrets to find. X7 was full 3-D levels for the most part, but X8 is all 2-D with 3-D elements much like another one of Capcom's projects, Viewtiful Joe. Levels end with a boss fight and an intro full of dialogue for each boss. Everything isn't perfect with X8, however. There are some very odd level design choices. The developers appear to like spikes a lot, and some are in unfair locations such as falling down a chute only to find no floor to break your fall but a pit of spikes. Burn Rooster's stage and one of the final levels are shining examples of this. Plus this serves the game with a difficulty that some players might not find fair. Also, two of the levels are not even designed in the traditional sense. 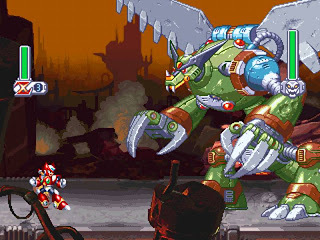 These two are Gigabolt Man-O-War and Avalanche Yeti's stages. 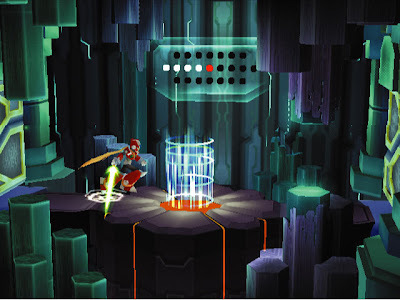 These are levels where you are in 3-D space and follow along a forced path blasting foes and dodging chasms. These could have preferably been traditional platforming levels like the others in the game. There's numerous difficulty modes for X-- each with their own challenges. Hard mode players will see X8's story completely unlike easy mode challengers. By completing the game players unlock new items to be purchased in the R&D menu such as new armor for the three Maverick Hunters and even the ability to play as their navigators. Cool stuff. 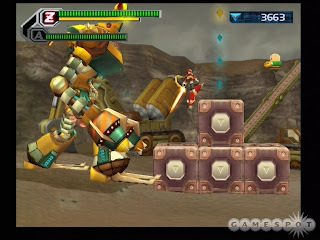 Zero is one of the three main characters to choose from. Overall, Mega Man X8 is one of the best entries into the Mega Man franchise in years. X9 is a possibility with the end's hinting, so hopefully eight isn't enough for the Mega Man X franchise. While some might feel the game is too cheap, the most true Mega Man X fan will most certainly be appeased by Capcom's latest offering. [SuperPhillip Says: 8.0/10] - Fittingly enough, X8 gets an 8 out of ten. Rank Up! is a brand-new feature on SuperPhilip Central. The premise is quite simple: I take a game series, and I rank the games in said series from worst to best. The premier edition of Rank Up! 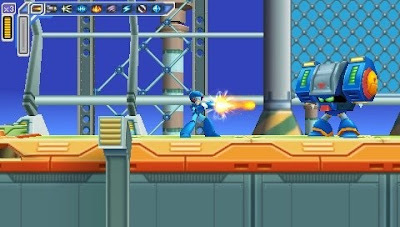 features the next generation of the blue bomber, Mega Man X! There's eight mainline X games to blast our way through: Mega Man X 1-8, so let's wall dash our way through this list, shall we? 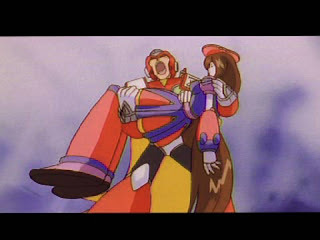 First off is the worst in our octuplet of X action, it's Mega Man X7. 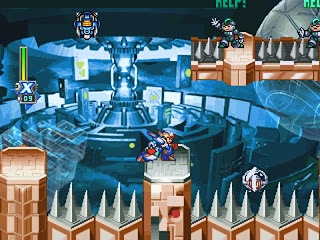 X7 attempted to experiment with the series by placing X, Zero, and newcomer Axl into a world where full directional 3-D movement was possible. For a series that was born and raised in 2-D, this experiment didn't pay off. The camera was all over the place, the 3-D portions were just cumbersome to play through, and what there was of 2-D sections were dull and inspired. 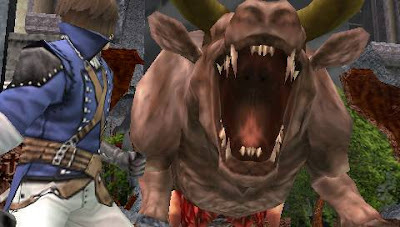 Not to mention the absolutely horrid voice acting that would make you want to take a charged buster shot to the eardrum! The worst exclusively 2-D entry of the X franchise, Mega Man X6 was rushed from the word go. It came out in less than a year after X5, and it showed. The level design wasn't so much challenging as it was cheap with spikes being used liberally throughout levels. The game promised a Nightmare System which was supposed to alter levels based on your performance in them, but this was a blatant lie. There was no such feature. Combine that with poor presentation and high frustration, Mega Man X6 is still an enjoyable game, but it is still one of the worst the series has to offer. The game in the series that started the downward trend, Mega Man X5 featured bosses with such odd names as Axel the Red and Duff McWhalen. To this day I'm baffled by Capcom of America's localization of the Maverick names. Regardless, X5 was the first in the series to have Dr. Light capsules awarding X with armor pieces instead of full blown upgrades. 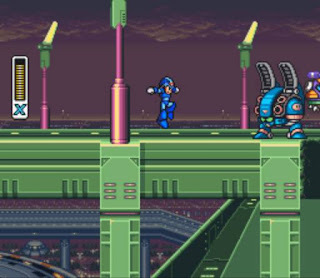 When all four pieces of an armor were collected, X could select that armor before entering a stage. Certain armor could only access certain parts of a level where sub-tanks and health-boosting heart tanks were hidden. 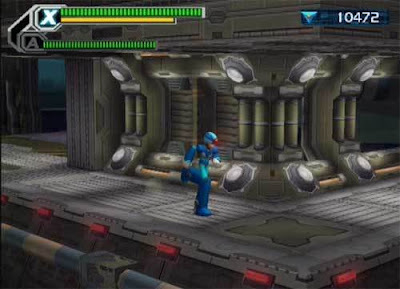 The X series returns to its 2-D roots with Mega Man X8. 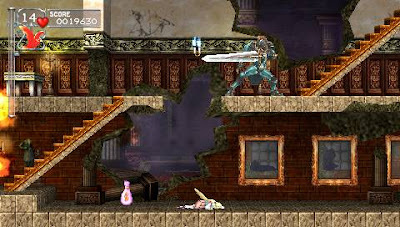 Characters, models, and enemies remained 3-D, but the game was played on a 2-D track with levels being well-designed with various 2 1/2-D tricks such as curving paths and paralax backgrounds. 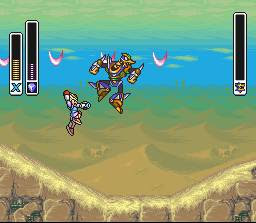 A tag-team system allowed two characters to switch in and out on the fly, effectively giving the player two life meters to work with. They could also perform a special tag team attack once a gauge was filled. Sigma took a backseat this time around with a new villain being the final boss, a first for the series. The only thing weighing the game down were two on-rail vehicle levels. More run and gun action would have been preferred. 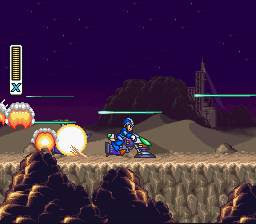 The final 16-bit Mega Man X game, Mega Man X3 brought with it the return of Vile. Facing him before the final levels was entirely optional, but it meant you could destroy him. This meant you'd face an alternate boss in the final levels instead of Vile. X3 had special red capsules that would give X a special move: double air dashes, improved defense, and so forth-- but he could only equip one of these chips, so it was up to the player to track down the capsule with the chip they wanted. Ride armor was much more pronounced this time around with four different types each for different situations and with varying powers. While not an overly outstanding X game, X3 definitely does its job as being entertaining. 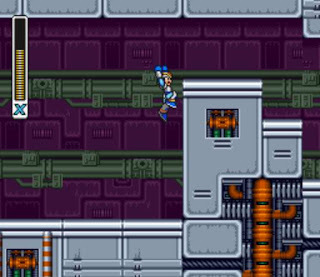 Mega Man X2 had everything Mega Man X had, but it added more to the mix. It may have felt samey with the similar formula of beating eight Mavericks and then heading to a final series of stages, but it was a welcomed addition to the series. This time around you could choose to track down Zero's three missing parts by taking down a group of rogues known as the X-hunters, Serges, Agile, and Violen. The levels were enjoyable, too, taking X through a junkyard, a weather center, a flying gator ship, and through a desert sandstorm to name a quartet. There's a lot of nostalgia that comes with this game making it nailed at the number three spot. My personal favorite of the Playstation era X games, Mega Man X4 allowed you to play as either X or Zero each with their own stories. X will wonder why he continues to fight while Zero wonders what he's fighting for. The new visuals packed a powerful punch with impressive backgrounds, detailed sprites, and well-drawn animated cut-scenes to boot. 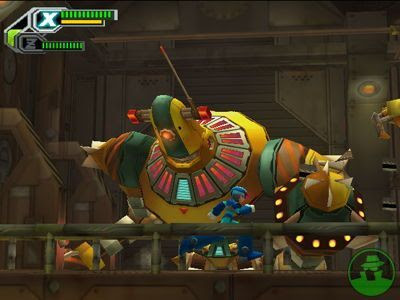 The soundtrack remains one of the best in the series with many memorable themes showcasing the new CD technology of the X series. Meanwhile, levels were a blast to fly through from a harbor jet-bike level to a performance-testing cyber network to lush, verdant jungle. X4 remains one of the best titles in the series. Could there be any other game than the original? Call it nostalgia, the very first Mega Man X game stands head and shoulders above every other title in the series. It effectively brought Mega Man to the 16-bit generation with more action, more powers, more weapons, more abilities, and more levels to run and gun through. 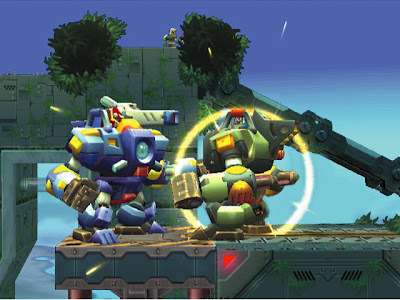 Hidden in several stages were capsules that gave X new abilities such as the headbutt, charge shot, and dash, heart tanks that boosted the health of X, and subtanks that gave X reserve health in case things got dicey-- which they would. Mega Man X remains the top of the series with memorable levels, unforgettable bosses, and a soundtrack that you'd fight to get out of your mind. Who could forget riding down a mine cart with enemies blazing by you in Armored Armadillo's stage? That concludes the inaugural installment of Rank Up! Do you agree/disagree with the ordering of the X series? Let your opinion be known in the comments section of your local site. We continue our streak of WiiWare games with a look at something that came out this past Monday on the Wii Shop Channel. It's Driift Mania from Konami. With this and Contra Rebirth, Konami's really doing well with WiiWare. If you were conscious during the late eighties and early nineties, you might remember two arcade games that featured racing in a top-down perspective: Super Sprint and Ivan "Ironman" Stewart's Super Off-Road. Get ready for a blast from the past as Konami is taking the tried and true gameplay of these two games and mixing them together for a brand new release on Wiiware. It's Driift Mania, an 800 point downloadable title where you can achieve your need for speed against 5-7 other racers. 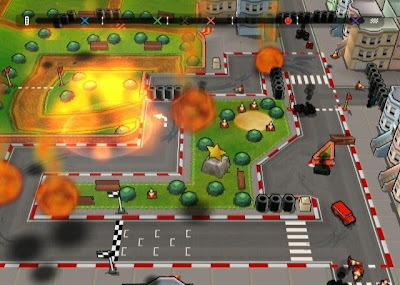 Does Driift Mania cross the finish line in first place, or does it crash and burn? 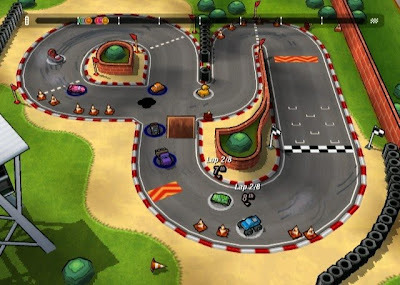 Driift Mania is a top-down racer where the entire track is shown on the screen. You control your vehicle as if you're in the driver's seat. Left goes left, right goes right, and you can also go in reverse-- although this can be problematic as it's quite disorienting to do so. 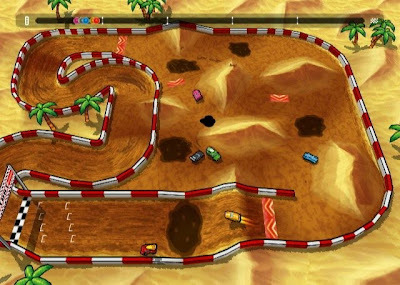 The driift in Driift Mania comes from your vehicle automatically drifting on each and every turn. The game feels great, and that's important for a game all about precision and quick reflexes. Many times cars can pile up on one another when the track gets tight. If two cars smash into one another, an oil slick appears on the track where the collision took place. If driven over, your vehicle can spin out of control in quick fashion. Championship mode can be played with another player. The main single-player mode is called Championship. It features five cups spread out across five unique areas: City, Hills, Oasis, Snow, and World. Each area has three tracks for a total of fifteen tracks. Three of these tracks are unlocked through getting golds in Championship mode and playing the multi-player modes. Tracks are relatively short spanning from 4-8 laps depending on a track's size. 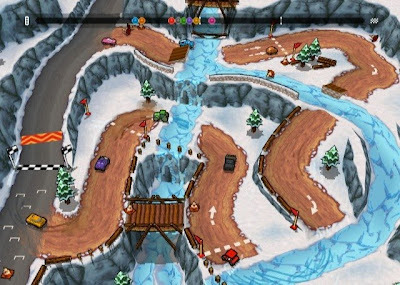 Tracks feature plenty of twists and turns, hazards like mud and ice, as well as ramps and boost pads to get an extra shot of speed. The goal is to drive through all the checkpoints as you complete laps, otherwise your lap won't count. In Championship mode, after each race you earn points. First place gets ten points, second gets eight, and so forth. The player with the most points at the end of three races gets the gold medal. Like Mario Kart, there's different vehicle classes offering the different difficulties of Championship mode. Small cars are light and handle well, medium cars are faster, and heavy cars take turns the best. Think of small, medium, heavy, and special as easy, normal, hard, and super hard in difficulty terms. Driift Mania can be very unforgiving in its challenge level. Other cars can knock you off your path, and turn you around, and when the CPU gets a lead, and can be hard to overcome. Of course, you can knock the CPU back just as hard as they attack you. Furthermore, Championship mode allows you and another player to play through the various difficulties and tracks a la Super Mario Kart which is a bonus. Twists, turns, mud, ramps-- it's all in a day's work. Multi-player is where this title truly shines with multiple modes and the ability to play with up to eight individual players. This is accomplished by connecting peripherals on up to four Wii remotes either the nunchuk or the classic controller. And while there is no online play to speak of, settling around a room talking trash and racing together is infinitely more enjoyable-- though the feature would have been welcomed. Unlike Championship which has you competing with five CPU opponents, multi-player has up to seven other AI foes to battle it out against. You can set up your own grand prix, selecting 1-15 tracks to race on, shuffle the order, add or remove CPU, and race to your heart's content. There's team races where two teams battle to accumulate the most points by placing high enough. Then there's the awesome meteorite mode where racers try to complete as many laps as possible all the while avoiding falling meteorites which will destroy their vehicle if caught in the blast radius. The more laps you complete, the more points you receive. Another game has one player infecting others through ramming into them. The player who survives scores points, but if all players are infected, the infected player wins. Cold potato has players grabbing the titular item and holding onto it as long as possible. The player who racks up the longest time with the potato is victorious. A good half of these modes must be unlocked through multi-player play, and they're just as fun and rewarding with computer players than without. Avoid falling meteors in this mode as you complete laps. 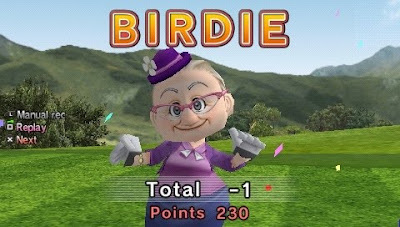 For an 800 point Wiiware game, that's tons to unlock through scoring gold trophies on Championship mode and through plowing through the multi-player modes. There's approximately forty different types of vehicles in all from police cars, tanks, fire trucks, sports cars, rubber duckies, farm tractors, futuristic F-Zero-like vehicles, golf carts, hovercrafts, and much more. At the beginning of the game, only twelve of the fifteen races are unlocked for play. 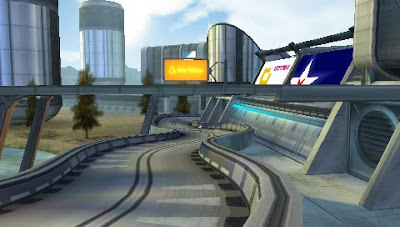 The unlocked three races take place in an arena-type setting with some of the more interesting track design to behold. Speaking of things to behold, Driift Mania isn't a bad looker either. The tracks are colorful, the framerate is stable, and small visual touches such as skidmarks from your vehicles' drifts are quite nice. The music sounds like something from a coin-op classic arcade game which suits the arcade nature of Driift accordingly. It might get grating to some, but it does its job as being background noise behind the roar and humming of your vehicles. The cel-shading is a nice touch visually. All-in-all, Driift Mania is a heck of a steal at 800 points. It's a game filled to the brim with nostalgic gameplay. Sure, online would have been nice, but there's enough content for single-player and local multi-player matches that you might not even notice. There's plenty of new vehicles, tracks, and modes to unlock that hours can go by before you've seen everything Driift has to offer. 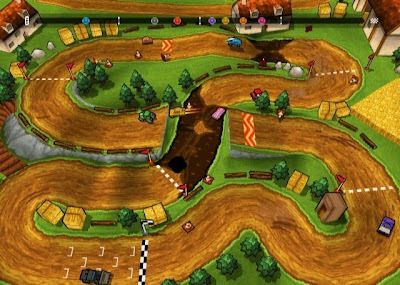 Those into challenging racing will adore Driift Mania. It's a fantastic pick-up-and-play game well worth the asking price. Digital distribution methods have seen a host of creative games made specifically for it, and it's a great way for indie developers to get their product out to the masses. One such creative game is coming to Wiiware very soon, and it's entitled Max and the Magic Marker. It's a game that couldn't be produced on any other game console save for the DS. To get an idea on the gameplay in the Magic Marker, check out this new trailer for the game. Watch it in a higher resolution here. It's the dawn of a new month, so it's time for a brand-new Central City Census. But first let's take a look back at September's results. It was a very close race between those happy with their current Playstation 3 and those just not interested in the system at all. 14% of the vote are interested in getting one/now own one while 12% of you were on the fence. Are you now off the fence? Let's continue this price drop fever, shall we? P.S. Happy anniversary, Central City Census! The Wii has officially gone down in price in most markets. In North America, it's gone down by fifty dollars. Do you plan on purchasing the new, cheaper Wii, or do you already own one, have you already owned one and sold it? The October Central City Census asks the not-so-tough question once again. He is vengeance, he is the night, he is... BATMAN! September came and went with a plethora of new and old reviews. 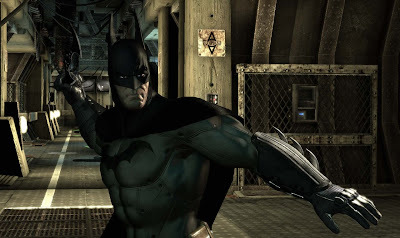 Headlining this month of reviews is Batman: Arkham Asylum, one of the best superhero games I've ever played. It's right up there with Ultimate Spider-man and the original PS1 Spider-man games. Arkham Asylum received top honors with a 9.25 overall. We took a look at the first two games in the Ratchet & Clank franchise in anticipation for October's A Crack in Time. The original received an 8.75 while Going Commando got a terrific 9.5. Next month I'll be reviewing three more Ratchet games. Meanwhile, TMNT: Smash Up smashed and bashed its way to a 7.75, the newest chapter in the Professor Layton franchise received an 8.75, and the SPC Quickies made a triumphant return showcasing my DS collection. Stay tuned for next month as the SPC Quickies cover my Wii collection! As always, italicized reviews are classic meaning they were written before SP Central came to be. Special thanks to my brother who wrote two new reviews this past month for Shadow Complex and Metal Gear Solid 4: Guns of the Patriots. slashed and sliced its way to an adequate score. Welcome to the final installment of our three-part Best of the Best series right here on SuperPhillip Central. We started this series to celebrate 500 entries on SPC. By the end of this we'll be close to 550! We've looked at the Wii, we've looked at the HD consoles, so now let's miniaturize our focus and look at handhelds-- portable gaming at its finest. What we have is a healthy mix of Nintendo DS and Playstation Portable titles perfect for gaming on the go. Without further ado, here's the list. New Super Mario Bros. is as it sounds-- the first new 2-D Mario in nearly fifteen years. There's eight worlds in all spanning across various terrain from swamplands to traditional fortress levels to haunted houses. 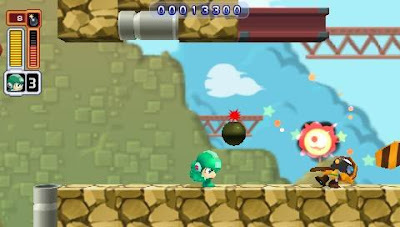 New power-ups include the mega and mini mushrooms as well as returning favorites like the baddy-burning fire flower. The game may be on easy side, but searching levels for gold coins and finding all the secret exits will push the longevity of this game into dozens of hours. Not being satisfied with bringing online play to the franchise, sixteen awesome new tracks, and twelve characters total, Mario Kart DS decided to bring with it a brand-new mission mode full of bosses and other challenges as well as sixteen classic Mario Kart tracks from previous entries in the series. You can argue if snaking is a legitimate tactic until you're blue in the face, but you can't argue that Mario Kart DS isn't one heck of a racer with more content than console iterations. Essentially Super Bowser RPG featuring those two plumbers, Mario & Luigi: Bowser's Inside Story is the longest and most complete entry in the Mario & Luigi saga to date. While Mario and Luigi are inside Bowser, clearing obstructions in his body and buffing him up, Bowser is having an adventure all to himself. The crazed and dastardly villain, Fawful, has taken over Bowser's castle, and it's up to Bowser to save the day in this hilarious RPG. The original Yoshi's Island was called Super Mario World 2 in North America. It really has little to do with the original Super Mario World besides starring Yoshi and Mario. Yoshi's Island DS spans across five worlds each with eight levels, two of these levels feature diabolical bosses to battle. Baby Mario isn't alone this time in his quest to rescue his kidnapped brother as Baby Peach, Wario, DK, and even Baby Bowser will join the fray. While the music quality is way down, the difficulty of the game is way up with some grueling later levels. A great platformer for sure. Wild World effectively took everything that made the original Animal Crossing terrific and translated it to a portable to perfection. Many hours will be lost acquiring new furniture, helping out new neighbors, furnishing and upgrading your house, hopping online with up to three other friends, partaking in the various holidays, planting flowers and pulling up weeds strewn across your village, and the list goes on and on. By the time the game gets old, you'll already be playing the next edition of Animal Crossing. Ten-hut! The Advance Wars series has been around long before the Game Boy Advance originally appearing on the Nintendo Family Computer under the guise of Famicom Wars. It wasn't until the GBA that Westerners finally got to play the series for themselves. The first DS incarnation features a dual-screened presentation, new troops, new maps, and new strategy thanks to the dual strike moves that allow two teammate commanding officers to move one after another. If you liked the Advance Wars series before it turned dark and gritty, check out Dual Strike. Still to this day it's one of my favorite Kirby games, and it's easily my favorite DS installment. Kirby Canvas Curse wasn't your traditional side-scrolling platformer. What you did was control Kirby by drawing lines for the pink puff to follow, through spike-littered corridors, past ruthless enemies, and through mazes filled with fun obstacles to contend with. Beating the game wasn't too difficult, but tracking down all of the red coins hidden in each level definitely was. Then you could beat the game as one of three other characters. Blast! Now I've made myself want to play this game again! A Zelda game controlled solely with the stylus? That sounded like a recipe for disaster. Fortunately, it was anything but with The Legend of Zelda: Phantom Hourglass. Couple ingenious puzzles with crafty dungeon design, lovable characters, impressive boss battles, and a wealth of new items for Link to utilize, and you had one Zelda adventure that sailed the seas towards awesomeness. The only gripe I have with the game is the constant returning to the Temple of the Ocean King. Other than that, Phantom Hourglass is a great game. Do you like wrapping your brain around perplexing puzzles? Have a seat with Professor Layton as his game, the Diabolical Box, has a ton of them! From block-sliding puzzles to logic puzzles, Professor Layton and the Diabolical Box has enough brain-busters to make a genius satiated. The game follows the death of one of Professor Layton's friend via a box that when opened, instantly kills the opener. By solving various puzzles, the secret of the Elysian Box will be solved! Are you up to the challenge? "Sit. SIT. Good, boy." Nintendogs was part of the influx of games for the Nintendo DS that made it the dominate system it is today. Walk your dog, pamper your dog, give your dog gifts, enter your dog into competitions from obstacle courses to disc-catching competitions. There's a lot to see and do in the world of Nintendogs. While the voice-recognition software wasn't the absolute best, Nintendogs was one of the first games to full utilize all of the features of the Nintendo DS. It stands today as a crazily addicting game full of cute puppies for owners young and old. I think I enjoyed this game more than any other Castlevania simply because it was my first taste of the Vampire Killer. The castle was expansive and was designed beautifully, the bosses were challenging, the action-RPG gameplay was great, and the soul-collecting was addicting with new souls giving hero Soma the ability to access new areas of the castle. If you can afford it, track down all three Castlevania games for the DS because they sure are fantastic journeys filled with hordes of monsters to bash and tons of rewarding gameplay to cherish. What do you get when Square-Enix creates a brand new intellectual property for the DS under the guise of one Mr. Nomura? You get The World Ends With You, a cryptic message but a wonderful game. Set in Shibuya, Tokyo, The World Ends With You combines stylus-driven action-RPG gameplay with an engaging plot that will keep you wondering just what exactly is going on. There's tons of content to battle through, a pumping soundtrack, and some impressive 2-D visuals to boot. Who would have ever guessed that you could take a city with the scope of Vice City and place it on a portable device? Well, that's exactly what Rockstar Games did with Grand Theft Auto: Vice City Stories. Love the gameplay of the console versions? 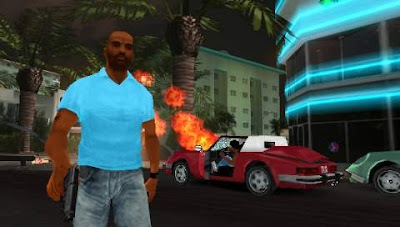 Then you'll adore the gameplay of Vice City Stories. It takes what you love about the console versions and effectively transplants it onto a PSP UMD for an entirely new story with new characters. That's not even the best part. Did someone say... Phil Collins? 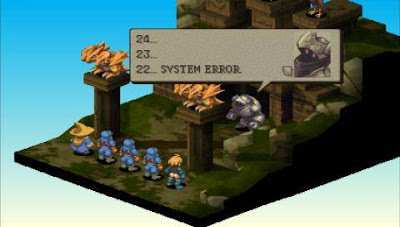 Final Fantasy Tactics: War of the Lions is a remake of the Playstation One classic. It's not all old here. There's brand-new, gorgeous cinematics, all-new classes to partake in, new characters to recruit, and all of the wonderful tactical gameplay of the original that you may or may not remember. While the incredible soundtrack is dampened by the PSP's speakers, it's still one of the best to this day accompanying one of the best TRPGs to this day. When you take Rondo of Blood and remaster it with new visuals and music, you get the Dracula X Chronicles, a game deserving of its accolades. It's your old school Castlevania (see: not Metroidvania/Castleroid) with linear progression, multiple paths, multiple levels, insane bosses, and enough whip-cracking fun for anyone not put off by the classic difficulty the game possesses. As a bonus, the game comes with the original Rondo of Blood and Symphony of the Night games! 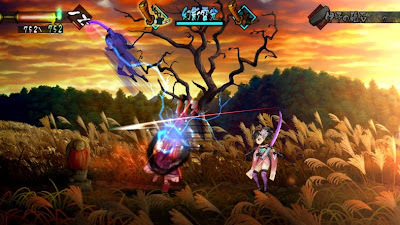 If you've been longing to slay Dracula on your PSP, you can now do so with Dracula X Chronicles. He's back, and he hates bugs! Daxter follows the titular character in the events leading up to him rescuing his old buddy Jak in the beginning of Jak II. 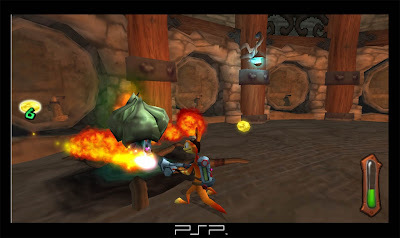 Daxter is a pure platformer with some third-person shooting thrown in for good measure. The adventure lasts about ten hours with plenty of secrets to unlock and bad bugs to beat down. The franchise's signature wit is present and accounted for as well. 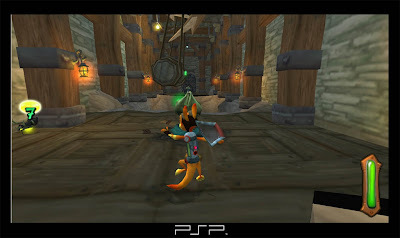 For its current price of twenty bucks, there's no reasons for a PSP owner not to have Daxter as part of their collection. A game anyone can get into with its easy to get a hang of controls. The left shoulder button moves your LocoRoco to the left while the right shoulder button (you guessed it) moves your LocoRoco to the right. 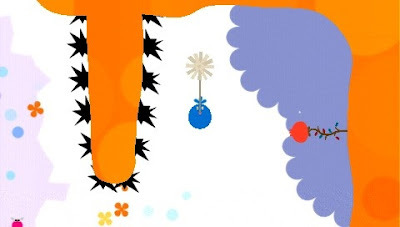 Hitting both buttons together causes your LocoRoco to leap into the air. Simple gameplay premise, but things get dastardly in difficulty later on. Completing levels is fine and all, but the real challenge comes from collecting all twenty fruits in a level. 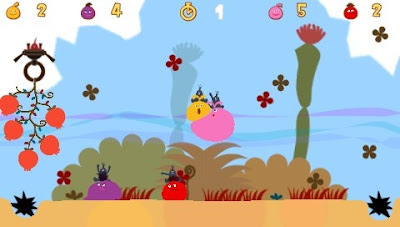 A strikingly superb sequel, LocoRoco 2 may just be the PSP's best game this year. Fooooooore! Tee it up with the Hot Shots crew all over again. 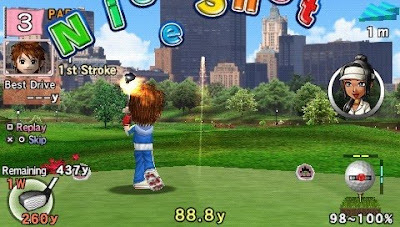 Hot Shots Golf: Open Tee 2 brings with it all of the characters and courses of the original Open Tee, and adds six brand-new, well-designed courses and a cast of new characters to putt, chip, and drive with. Each character can be customized with multiple accessories and costumes, and then you can take said characters online and play with friends, family, and complete strangers from around the world. Without a doubt, Open Tee 2 is the best in portable golf. It seems I can never get enough blabbing about the next two Mega Man titles whether it's talking about how they're overlooked PSP games or games I'd love sequels to. This time around we're talking about why they're part of the best of the best the PSP has to offer. Traditional run and gun Mega Man gameplay mixed with gorgeous chibi visuals, and you have one Mega Man game that's hard to pass up on. Well, maybe not so hard to pass up on consider how so many of you did pass on it... but I digress. 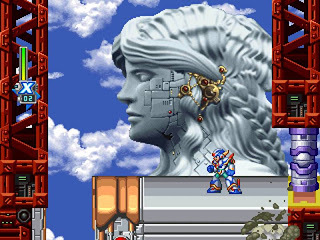 Remixed music, remixed stages, remastered visuals, and added cut-scenes are what's new with the original Mega Man X. The latter of the two PSP Mega Man games, Mega Man Maverick Hunter X takes what's great about the original Mega Man X and adds a bounty of bells and whistles to make the game worth checking out all over again. Now if only more people would have checked out this game we'd have an updated Mega Man X2! 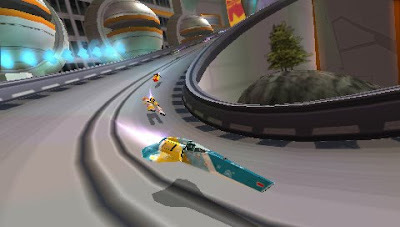 Wipeout is a series very similar to Nintendo's F-Zero franchise. It's a futuristic racer but only with weapons. Pulse has your playing through multiple grids, a chart with multiple challenges from grand prix-style tournaments to fastest lap competitions. There's sixteen races in all, multiple different vehicle types to use, and online play thrown into the mix, too. What Wipeout Pulse lacks in originality it makes up for in sheer speed and fun. And that does it for the Best of the Best this time around. Perhaps I could make lists from past consoles. Regardless, I hope you've enjoyed the trilogy. It's a lot of work, but it's worth it! Did your favorite not make the list? Let me know in the comments.